Brades Primary School retain bragging rights as top in athletics after Wednesdays Joint Primary School Sports Meet at Little Bay. 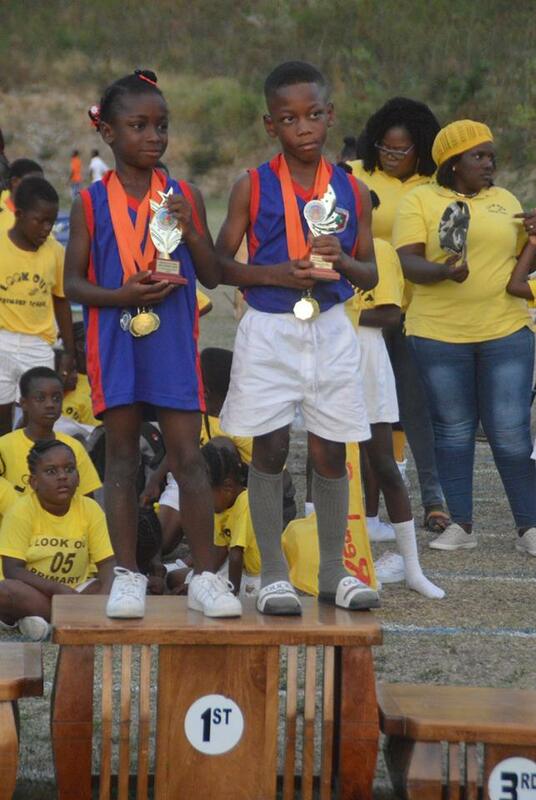 Champion Girl Class 1 – Keneisha Joseph and Champion Boy Class 1 – Shimu Fearon of St Augustine Primary School. Brades Primary came into the final day of competition more than 40 points ahead of its closest competition, St. Augustine Primary. None of the schools could diminish the lead set by the children in green. They won the day with 213 points, followed by St. Augustine Primary with 153. Lookout Primary School had 106 points and Lighthouse Community Academy made an appearance on the score board with nine points. Brades Primary athletes also took half of the top eight championship trophies. 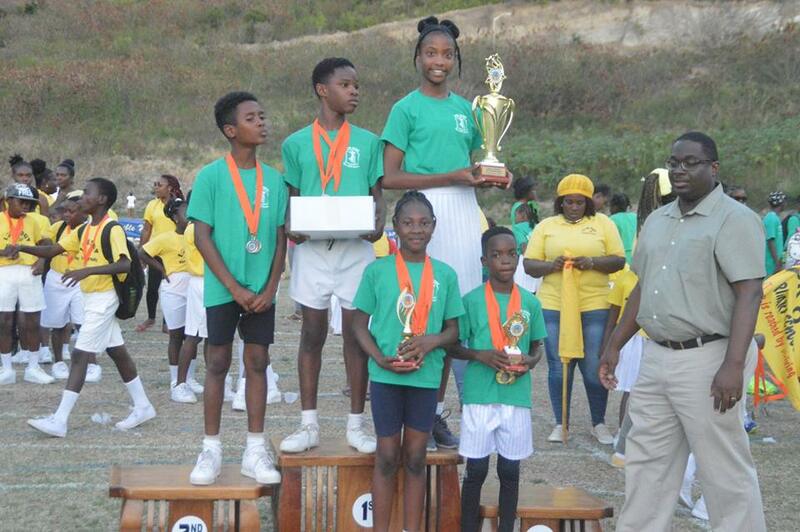 Champion Girl Class 3 and Victrix Ludorum, Akilah Baron collected 30 points for Brades School. Champion Boy Class 3 and Victor Ludorum, G’Ovaughny Browne of Look Out Primary was top boy for the second year with 32 points. 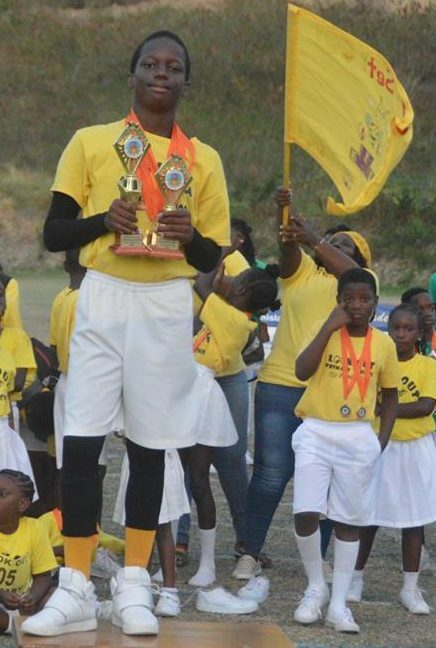 Champion Boy Class 1 – Shimu Fearon of St Augustine Primary School added 10 points. 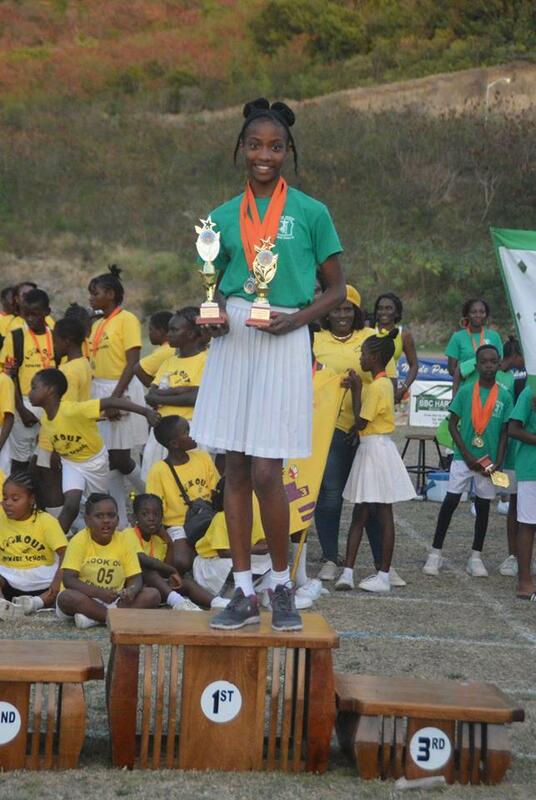 Champion Girl Class 1 – Keneisha Joseph of St Augustine Primary School added 8 points to her school’s score. Champion Boy Class 2 – Oren Bobb of Brades Primary gained 27 points. 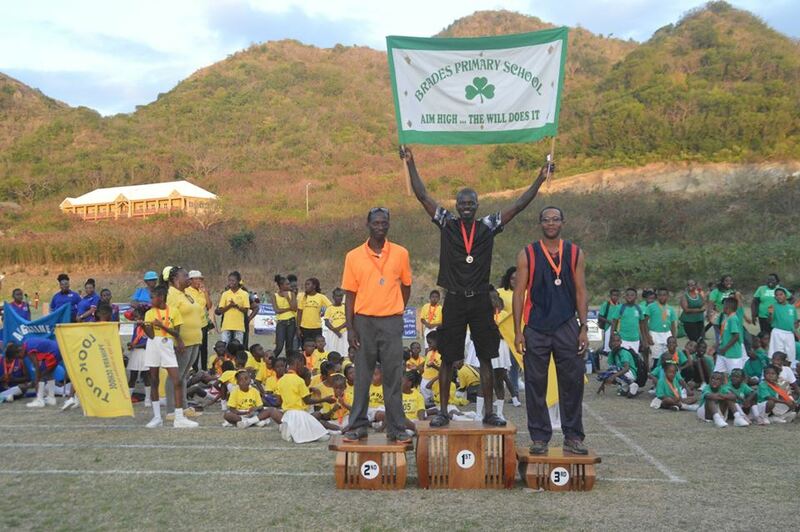 Winning the Father’s Invitational 100M Race was Kevin Barnes, a parent at Brades Primary. He was followed in second place by Calvin Lewis, a parent of a student at LCA and Courtney Rodney, who has children at the St. Augustine Primary School in third place. The top three mothers are Sonnika Weekes (1st) Rona Bobb (2nd) from Brades Primary and Dr. Ingrid Buffonge, a parent at St. Augustine Primary in third place. Not judged this year is the popular March Pass which opens the day and the Tug-O-War was also excluded from the day’s events. Champion Boy Class 3 and Victor Ludorum, G’Ovaughny Browne of Look Out Primary. Champion Girl Class 3 and Victrix Ludorum, Akilah Baron of Brades School.